Smartebusiness is passionate about the way we approach eCommerce. 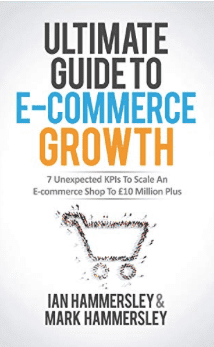 We have a fundamental ethos in the company that’s based around 7 main eCommerce KPI’s. We’ve spent 15 years working with retailers and we know that our numbers driven formula is key to unlocking the next stage of your growth. If you’re looking to scale from 1 million to 3 million, 5 million to 10 million or 50 million to 100 million, our expert consultancy team can draw up the strategy to get you there. We aren’t just your typical Magento agency. Our co-founder brothers are considered experts in the ecommerce field and they’ve even written a book. So to put their skills to good use, we offer eCommerce consultancy. Retailers are using different platforms, they’re at different stages of growth and we’ve seen that first hand. We offer an excellent all round consultancy service focused on growing your business and tailored to your individual needs. 5. Analysis of Buyer Types looks at how to get new buyers to buy, and how to get existing customers to spend more, and more frequently. For more information on our Ecommerce Consultancy, please contact us. Ian & Mark absolutely love spending their time talking to retailers, so if you have any questions, please don’t hesitate to call or contact us.